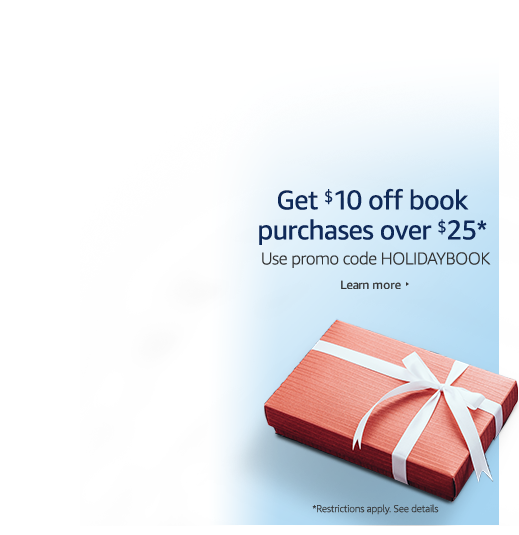 EXTRA $10 OFF PROMO CODE ‘HOLIDAYBOOK’ ON PURCHASE OF $25 ANY PRINT BOOKS BY AMAZON. EXTRA $10 OFF PROMO CODE ‘HOLIDAYBOOK’ ON PURCHASE OF $25 ANY PRINT BOOKS ON AMAZON. This 2016 Black Friday print books’ promo code is invalid on eBooks and Audiobooks. The offer is limited time, promo code expires at 02:59am EST, November 28, 2016, and limit one promo code per Amazon account. Paperback - http://amzn.to/2fwlaBD and Kindle 3.99!